Aqua Creations is a combination of artistic values, aesthetics and quality. Our atelier creates design objects that function as art pieces. The lights are hand made using advanced and sustainable lighting technology. All our pieces are handmade by skilled artisans who craft each piece individually, with utmost care and respect for our heritage. 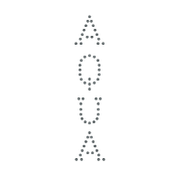 Aqua Creations is committed to design and produce site specific installations of any scale. We answer the challenges presented by our clients and their designers, working in partnership to realize solutions that turn dreams into reality. Today, Aqua Creations is lead by Albi Serfaty, Founder and Creative Director together with his design team.